Read Your Way Around the World invites you to Jamaica. Jamaica has a long history of storytelling and its contemporary novels reflect this tradition by enriching their stories with local dialect and natural speech. The island itself and its tumultuous history has been an inspiration not only for Jamaican authors, but for others like Ian Fleming. Enjoy this selection of novels written by Jamaican authors and set in Jamaica. In Dancing Lessons by Olive Senior, Gertrude Samphire's home is demolished by a hurricane and she is forced to relocate to another community where she feels strange and alone. Through her journal she reflects on the poverty. violence and maternal strife that has coloured her life. Senior is a Jamaican novelist and poet who also makes Canada her home. Mid twentieth century, Pao and his family escape the Chinese Civil War and Pao becomes involved in organized crime in Jamaica. Pao by Kerry Young features an unlikely gangster who turns to Sun Tzu's The Art of War for guidance. Kerry Young was born in Kingston Jamaica and currently lives in England. 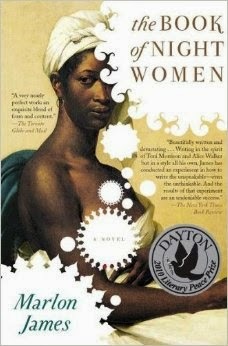 The Book of Night Women by Marlon James is a historical novel set in late eighteenth century Jamaica. Lilith born a slave is recognized has having special powers which makes her a part of The Night Women who have been planning a revolt. Lilith's having green eyes convinces her that her father was a white man and that she has a special place in this stratified society. A violent and evocative portrait of Jamaica at the turn of the 19th century. A True History of Paradise by Margaret Cezair Thompson features Jean Landing who, in the early 1980s inspired by her sister's death, is leaving her native Jamaica in order to escape the violence inherent in this troubled country. She recalls her family's long history on the island which is reflective of the ethnic diversity which is a part of Jamaica's history. The True History of Paradise was shortlisted for the International IMPAC Dublin Literary Award in 2000. Lowe escapes China in the late 1800s for a new life in Jamaica in The Pagoda by Patricia Powell. As women are not allowed to emigrate, she disguises herself as a man and remains as a man for the next 30 years. This novel explores gender identification, loss of identity, language and culture, violence and freedom. Patricia Powell was born in Jamaica and currently lives in the United States. The Great Yacht Race by Anthony C. Winkler is set in Montego Bay in the 1950s just as the traditionally colonial society is beginning to disintegrate. This novel focuses on the "elite" whose greatest concern is winning this race. Winkler paints a satirical portrait of a hypocritical and out of touch community.